She's spot on, but with all the pretty sparklies bombarding our thoughts and confusing us terribly The Wedding Room Acessories Evening is a great place to start!! Mary at the Wedding Room has kindly put together a small evening for excited brides to be and their guests to spend a couple of hours sipping bubbly and talking all things accessories. A charming assortment to choose from: We have recently increased our offering to include more styles than ever. Central, side and bespoke tiara's, even textural and embroidered ones. Beautiful selection of veils: Joyce Jackson and Rainbow Club veils in various lengths, featuring gorgeous lace edges and embedded crystals. Glitzy Secrets have arrived: But we're not keeping it a secret for long! Necklaces, earrings, bracelets, brooches and hair slides. Simple to statement, we supply it all. And as if that wasn't enough ... All accessories are 10% off on the night!! Wow. Where can I sign up?!? Published on October 24, 2013 by Sam. I love to see photos where the bride has short hair. For some it is a definite choice; for others it is a case of - well, my hair gets thin and stringy if it gets past my shoulders, so I've no choice. So today, I thought I'd find some inspiring photos for all of you shorties! There is a great variety of short hairstyles - for example, they can be modern ( spikey, tousled), vintage (sleek short bobs) or classic (gamine cut). 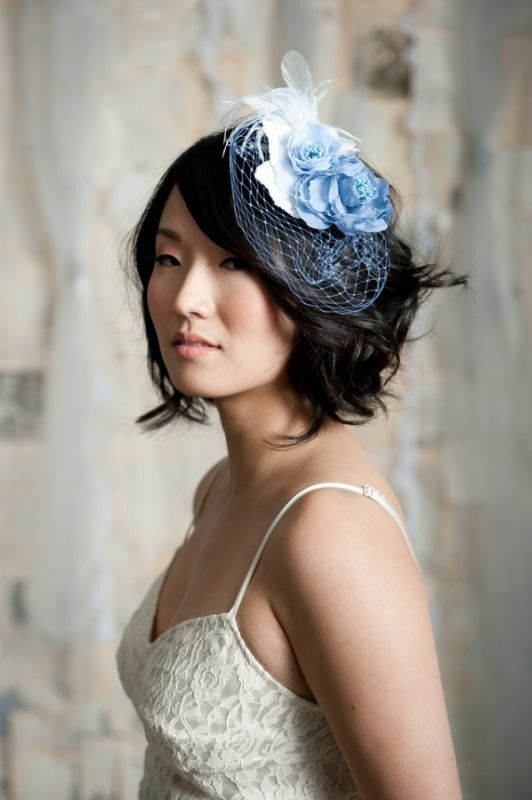 Each style can carry off a vast array of hair pieces to complement a fabulous gown. In some instances, a shorter hairstyle looks better with a small clip than a more elaborate hairdo, don't you think? 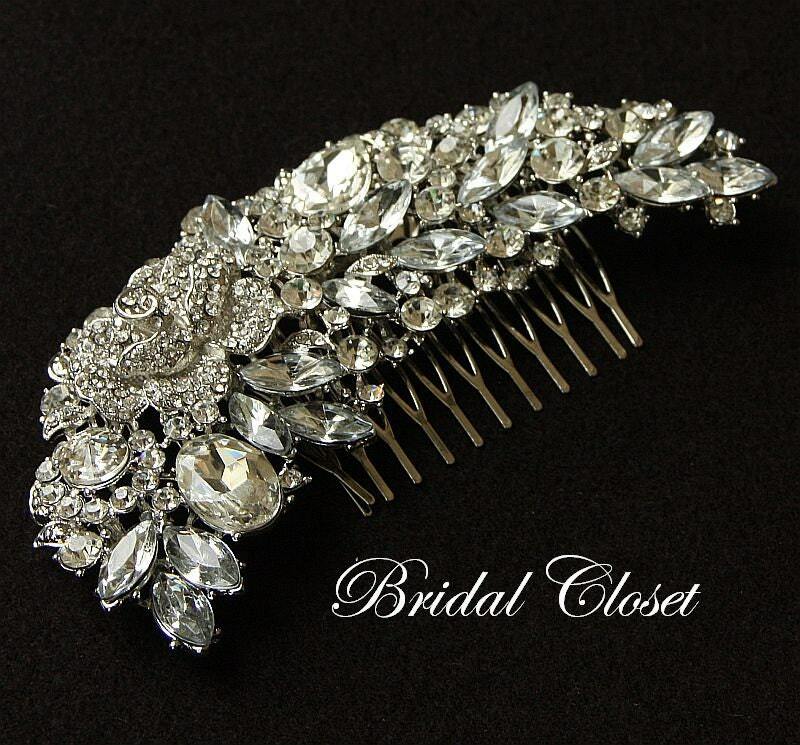 Or what about using a beautiful antique style comb? This can look stunning and is a cost effective way of adding a touch of glamour to your look, whether modern or vintage. 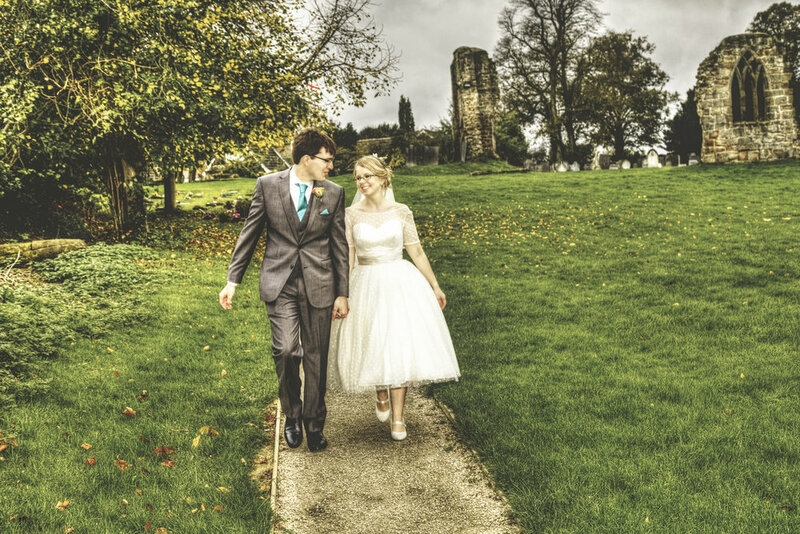 Mary at The Wedding Room can advise you, as she has seen many brides looking divine! 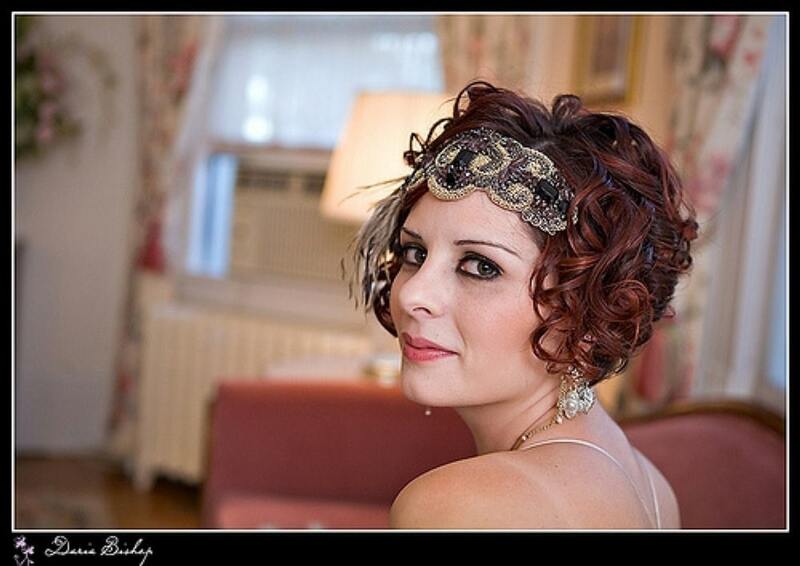 If your wedding style is vintage, then the classic flapper style headband can steal the show. As you know, the key for any hairdo is a good cut, colour and condition. The important thing is to look like you. Have fun experimenting with hair accessories, why not try some cheaper coloured accessories from the high street first? Published on May 31, 2013 by Mary Jeremiah.